Concepción González-Bello, born in Vigo (Spain) and graduated in Chemistry with honours at the University of Santiago de Compostela (Spain, 1989), obtained her PhD at the University of Santiago de Compostela (Santiago de Compostela, Spain) in 1994 under the supervision of Profs. Enrique Guitián and Luis Castedo. During her PhD studies, she did two predoctoral stays, first in the University of Gent (Belgium, 1991) with Prof. M. Vandewalle and then in the Scripps Research Institute (La Jolla, USA, 1992) with Prof. K. C. Nicolaou. 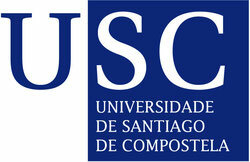 After a postdoctoral stay as an EC-fellow in the University of Cambridge (UK) with Prof. Chris Abell (1994-96), she joined the University of Santiago de Compostela as an Assistant Professor in 1996, was promoted to Associate Professor in 2003 and obtained the Spanish habilitation to full Professor in 2011. She joined the CIQUS as a group leader in 2011. She is author of more than 80 scientific articles in peer-reviewed journals, several chapters in books and three European patents. She is a member of the International Advisory Board of the "ChemMedChem" (2010-), Advanced Therapeutics (2017-) and "Drug Design Methodologies and Modern Medicinal Chemistry" (2015-). Since 2015, she is an academic editor of the international journal “PLOS ONE” . 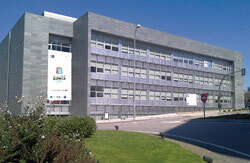 Since February 2011, she is the treasurer of the Chemical Biology group of the Spanish Royal Society of Chemistry (RSEQ) (http://www.quimicabiologica.es/ ).